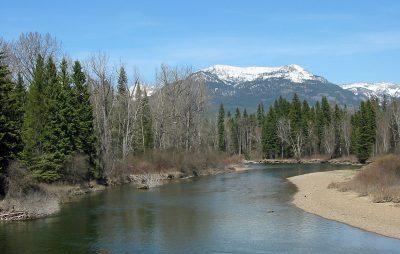 Beginning in the Mission Mountains Wilderness Area, the Swan River flows north through a heavily timbered valley nestled between the Mission Mountains on the west and the Swan Range (part of the Bob Marshall Wilderness Area) on the east. This section of the river has heavily forested banks, numerous turns, and lots of logjams that lie in wait for the inattentive floater—especially in the upper portion of the river around Condon. The river continues flowing through this heavily forested countryside before it reaches the Swan River National Wildlife Refuge. As it passes through the refuge, the velocity of the river slows considerably as it nears Swan Lake. As the river passes through the refuge, it offers spectacular views of the Swan Range as the refuge consists primarily of grassland, wetlands and marshes. Downstream from the refuge, the Swan River enters Swan Lake, a beautiful ten-mile long mountain lake that is a popular recreational lake for locals and out-state tourists. 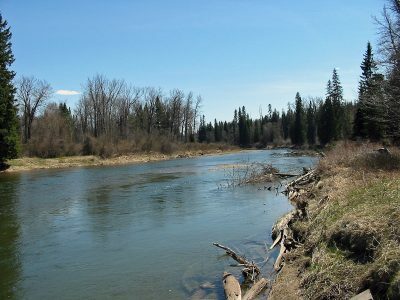 Below Swan Lake, the river slows as it nears Bigfork Dam, as it flows through a mix of forests, fields and farmland. Below the dam, the Swan River turns into a wild whitewater ride for a mile, called the “wild mile,” before it enters the upper portion of Flathead Lake in the town of Bigfork. 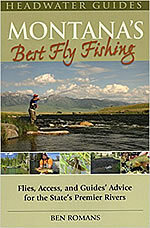 The Swan River above Swan Lake is an excellent place to fish for native Montana fish. Cutthroat trout, rainbow trout and bull trout are all found in the Swan. Between Lindbergh Lake and Swan Lake, the Swan holds healthy numbers of fish. The fish tend to be on the smaller side, 8 to 12 inches on average with a few approaching 16, which prevents the Swan from being over-run with anglers. Fishing the Swan River poses some challenges. The river flows through heavily forested, brushy areas, making wade fishing difficult. Back casts are next to impossible in most places, and the brushy shores make walking along the river an exercise in patience and agility. 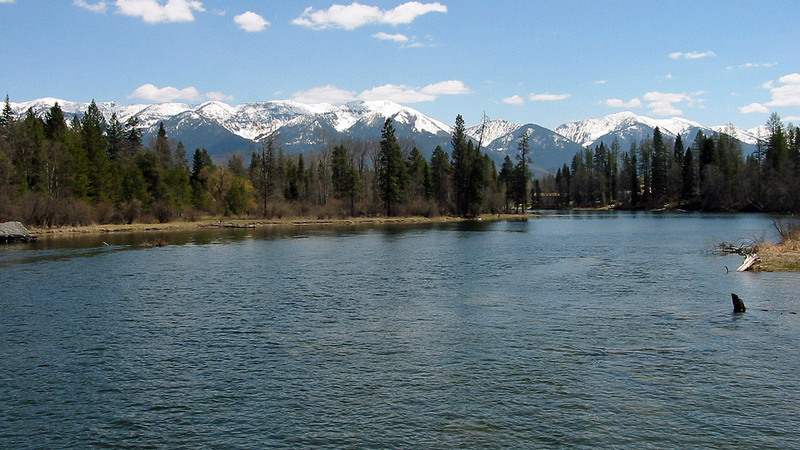 The Swan River in Northwest Montana is an attractive river for fishing and float trips. As a result, the angler frequently ends up walking in the river, which also poses problems. The current in spots can be fast, and numerous deep holes are found along the riverbanks. To further complicate things, the Swan has countless logjams and downed trees. The floater also doesn’t necessarily fare better, either. All those logjams lead to many portages and unexpected run-ins with trees. As the upper Swan River has a fairly fast current, avoiding a logjam can be difficult at times, and the twisty and forested nature of the river limits visibility. The Swan River is not heavily fished by Montana standards. Most fishing pressure is isolated around bridge crossings. For the angler willing to brave the tangles of timber or a walk in the river, isolation and decent fishing are found just upstream or downstream from these access points. The fish in the Swan River aren’t especially picky eaters. Early in the summer, stonefly hatches occur. Using small stonefly imitations, assuming the river isn’t blown out by run-off, will bring fish to the net. Beginning in July, attractor patterns, particularly hoppers and ants, become the choice of anglers on the Swan River. Other flies for the summer months include attractors and stimulators such as the Wolly Bugger, Elk Hair Caddis and the Humpy, sizes 12-16. For the trout fisherman, the section of the river below Swan Lake doesn’t hold much interest. The Swan River slows considerably and often becomes very warm during the summer, pretty much killing off trout fishing. However, below Swan Lake, decent pike fishing is found along the banks, especially in backwater areas where there is no current. The Swan River is a challenging but rewarding float. Flowing through beautiful and remote country, the floater is likely to have the river to themselves. Only a handful of bridges cross the Swan River above Swan Lake, allowing for a secluded and quiet float. The brushy and forested banks also limit the range of river walkers, thus keeping most of the river quite isolated. The challenge floaters face lies in the form of numerous logjams that frequently block the entire river. Portaging around these logjams is often difficult due to the thick foliage along the bank. Additionally, the thick vegetation and the rivers twists and turns limit visibility, making it difficult to spot many logjams. Slamming into one of these logjams is not an infrequent occurrence for floaters. Above Swan Lake to Lindbergh Lake, there are no serious rapids to worry about, just fast moving water with lots of riffles. During high water, some of these logjams disappear under the water. However, during high water the river can move very fast, allowing for little time to maneuver around the jams that do exist. During low water, parts of the Swan becomes very difficult to float, as the low water exposes ever more downed trees and stumps that are covered in high water. The Swan River in Northwest Montana. Always watch out for logjams when floating the Swan River. These jams “move locations” each year, too. Below Swan Lake, the river slows considerably, and comes to a crawl almost completely for several miles above the Bigfork Dam. Because of this, canoes and inflatable kayaks, as well as motorboats of various kinds, are the most popular boats for this section, unless you enjoy rowing an inflatable raft. Bigfork Dam itself can be relatively easily portaged to the right. The dam itself is hard to miss—big orange balls float across the entire river above the dam. The best boats for floating the Swan River in-between Swan Lake and Bigfork Dam are canoes, inflatable canoes and inflatable kayaks. These boats work well due to the slow current and the need to paddle to get anywhere. Below the dam, the whitewater section of the river kicks in. Called the “wild mile”, this mile of river is essentially a continual series of Class II-Class V rapids, depending on river flows. Only experienced kayakers and rafters should consider floating this section, using hard shell kayaks, inflatable whitewater kayaks or inflatable whitewater rafts. Below the whitewater section the river flattens out for another mile as it runs through the town of Bigfork to the confluence with Flathead Lake.